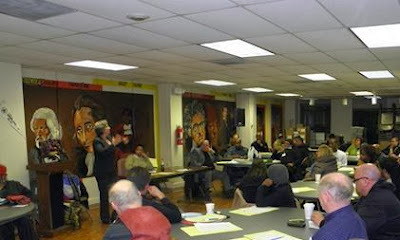 Last night was our final and most successful committeeperson workshop. Last night was our final and most successful committeeperson workshop.There were folks there from neighborhoods all around the city. 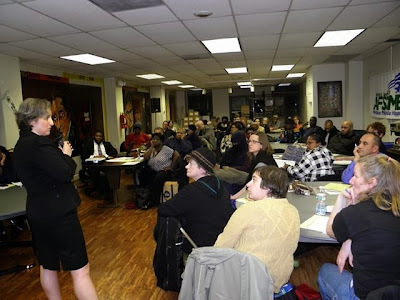 City Commissioner Stephanie Singer and Deputy City Commissioner Tracey Gordon once again conducted a lively, very well-received workshop. Commissioner Singer actually manages to make arcane topics like the ways to avoid a petition challenge really interesting. In addition to the workshops sponsored by the Philadelphia Chapter of the National Organization for Women and the Philadelphia Chapter of the Coalition of Labor Union Women, Stephanie Singer and Tracey Gordon also conducted workshops sponsored by community groups around the city as well as one by Young Involved Philadelphia. I was very happy to hear about the Young Involved Philadelphia workshop as the Philadelphia Democratic Party’s old-school, top-down way of doing politics turns off so many young people and makes it so hard to get progressive young people involved in the Democratic Party. Increasing numbers of young people refuse to even register as Democrats. In addition to the people who attended the workshops, I’ve heard from others who could not attend but were planning to run. There are also neighborhood campaigns to run candidates for committeeperson slots, not connected to the series of workshops run by Stephanie Singer and Tracey Gordon. Councilwoman Maria Quinones Sanchez is running a slate of candidates for the state legislature in the 2014 primary election and I expect that also includes committeeperson candidates. Something is bubbling up from the grassroots and there is the possibility of really shaking up the local Democratic Party.